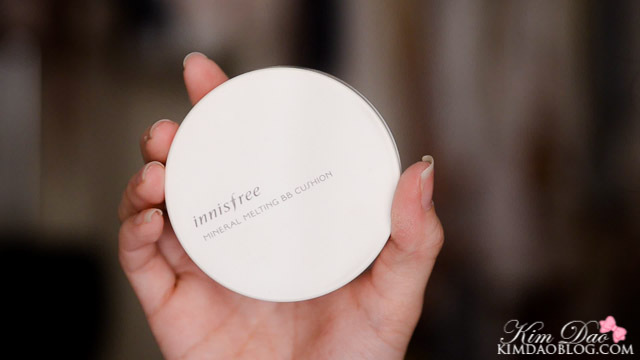 Today I'm going to be reviewing an item that I have fallen in love with latley... the Innisfree Mineral Melting BB Cushion! I never really got into Korean cosmetics, I actually used to buy Korean cosmetics a lot more than Japanese ones, but I had really bad experiences so then I stopped using Korean cosmetics for a while. Back when BB creams first came out, everyone was raving about them so I also decided to jump on the bandwagon and try them out. Unfortunately for me, BB creams didn't suit my skin at all and just made me look sick because of the grey undertones. 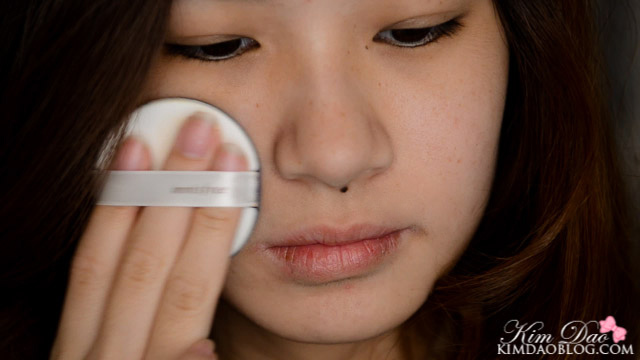 I tried a few different BB creams but they just didn't work, so I stayed away from Korean cosmetics for a few years. However, after getting on Youtube and making friends with a lot of Korean youtubers, they will tell me to try out a lot of Korean cosmetics. I watched their hauls and reviews and decided to give Korean cosmetics another chance. This time, I just fell in love with them. I don't know if it was because I didn't know how to apply makeup properly back then, or if I Korean cosmetics have just really improved... but whatever it is, it's working well for me! So this item has a sponge which is the "cushion" and it is soaked in the foundation which lies underneath the sponge. 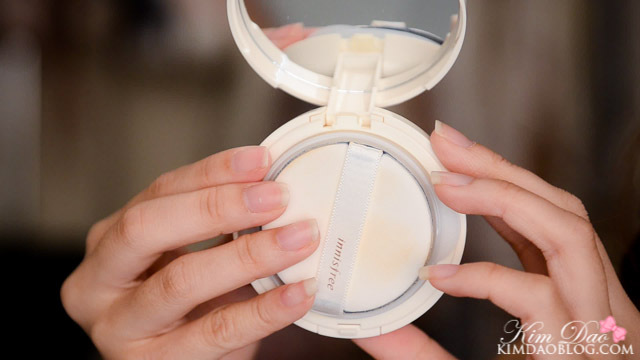 You use the sponge at the front and press on the sponge underneath to give yourself some product. As you can see, this item blends so perfectly into my skin. I was so surprised when I tried it, I wasn't expecting it to be this good! 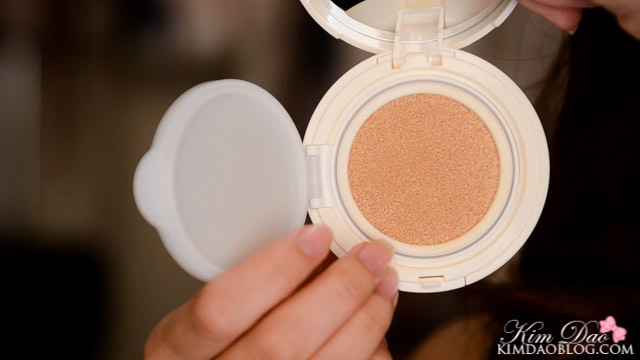 I am definitely going to check out more Korean BB creams from now on! - Very natural, looks like you're wearing no makeup! 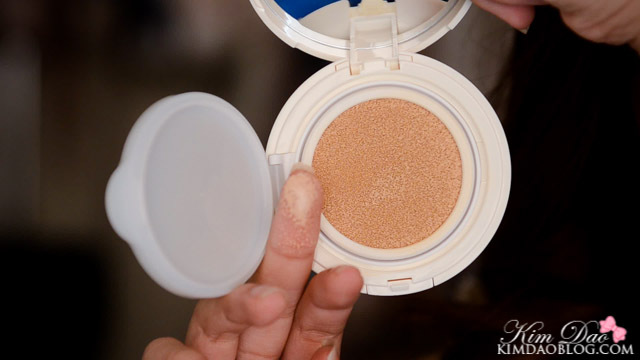 - It does start to oxidize throughout the day so you may have to carry it around with you to do touchups.